Our Mulberry, FL contractors can examine your attic and walls to determine your current R-value of house insulation and recommend whether you would benefit by increasing the amount. 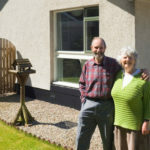 House insulation is made from a variety of materials and types that can be used in a number of areas to make your home more energy efficient. A typical house can have insulation in the attic, walls, floors, and/or basement, depending on the construction of the home. 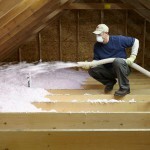 Here in Polk County, Florida the main consideration for house insulation is the attic and walls. Generally speaking, here in the Mulberry, Florida area, we recommend you have between R30 and R60 insulation in your attic and R22 to R38 over a cathedral ceiling. Our experienced, certified weatherization contractors can examine your attic to determine your current R-value of house insulation and recommend whether you would benefit by increasing the amount. We will gladly provide an estimate free of charge. How Can I Tell if I Have a House Insulation Problem? Mold – If you have mold in the attic or notice a moldy odor in your home, it could be a sign that ventilation was not properly addressed. Rust – If you have equipment in the attic, such as your HVAC unit, and it is getting rust on it, that is a sign of moisture resulting from improper ventilation. Ice Dams – While not an issue in Florida, our northern neighbors can notice ice dams form when insulation is lacking. Here in Florida, the result is diminished comfort levels inside the home. Mice – If you notice mice in your home, your first thought should be, “How did they get in?” Chances are it is because there are some gaps and holes they took advantage of, and those are spots where you are lacking insulation. Increasing your house insulation can easily pay for itself in just 2-3 years if you have old R11 insulation, as you can save hundreds of dollars in utility costs. We can install either roll or blown-in house insulation, depending on your needs and budget. Our staff will gladly discuss with you the advantages of each type, so you can make the best choice for your situation. 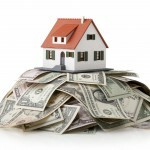 We also participate in all local utility rebate programs, which can help you save on the cost. We have been proudly serving Polk County for over 20 years and are fully dedicated to providing you excellent service, quality products and expert workmanship. Give us a call for your free inspection and estimate today!